Offering you a complete choice of products which include jacquard lace, designer laces, embroidered lace, organza jacquard lace, elastic laces and zari lace. We are one of the reliable manufacturer, supplier, exporter and distributor of Jacquard Lace in Mumbai, Maharashtra, India. Backed by years of industry experience, we are engaged in offering a premium quality range of Designer Laces. We are one of the leading manufacturer, supplier, and exporter of Embroidered Lace, we have marked our name very strongly in the market. The lace is highly admired by our clients for its elegant and intricate designs. Offered lace is designed with precision using excellent quality of material & modern techniques as per the norms of the market. Our offered lace is checked by experts so as to ensure that it is free from any kind of defect. 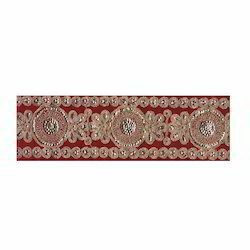 We are one of the leading manufacturer, supplier and exporter of Organza Jacquard Lace in Mumbai, Maharashtra, India. 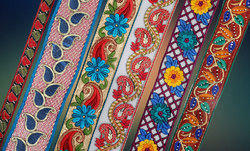 Our provided assortment is highly demanded in the market for its charming look and attractive patterns. 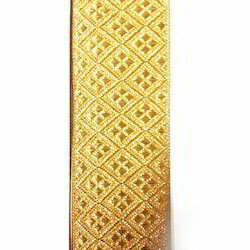 To design this lace, we use optimum quality threads and highly developed machinery as per the industry defined norms. Apart from this, We also customize the entire range in various designs, patterns, and colors as per the demands of our customers. 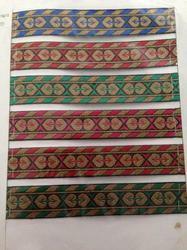 We are one of the leading manufacturer, trader & exporter of Elastic Laces in Mumbai, India.Our provided Elastic Lace is rigorously tested by quality controllers to ensure its optimum quality. Our prestigious clients can avail our entire products range from us at market leading prices. 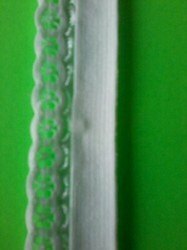 We are offering Zari Lace to our client. 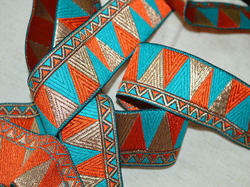 Looking for Designer Laces ?